Building a better tomorrow is our company motto, but our many partners and investors—public and private—wouldn’t trust us with this mission unless we had the experience to deliver. Among our twelve leading team members, we have completed over $1 billion in projects, and remain committed to creating a positive and lasting impact on all the lives we touch. As President, Rhett is responsible for business development, financial planning, investor relations and the supervision of all the firm’s operations. He also provides oversight to IDP’s development activities which includes financing, project execution and community engagement. Rhett’s extensive experience in utilizing multiple tax credit programs, complex financial structures and public-private partnerships has led to IDP’s growth into multiple sectors of the real estate industry.<br><br>Prior to founding IDP, Rhett was a principal at Ambling Companies and Ambling Property Investments for 14 years. He was directly responsible for the strategic direction and planning of its real estate acquisitions, development, and property management. He currently serves on the Board of Directors for both the National Housing & Rehabilitation Association (NH&RA) and the Georgia Affordable Housing Coalition (GAHC). Rhett is proud alumni of The University of Georgia, where he earned his bachelor’s degree of Business Administration. If he is not cheering on the Bulldogs, Rhett enjoys golfing and spending time with his wife and five children. Before her role as a principal at IDP, Christine worked for over 15 years in investment banking, with Stifel, Nicolaus & Company; Merchant Capital, LLC; and George K Baum. Her banking expertise and emphasis in Education have proved invaluable to IDP, as she has worked with public and private universities nationwide to evaluate debt capacity, develop debt strategies, and shape policies for capital needs including privatized modeling and structures. Christine has extensive experience in evaluating an array of education credits, and she has more than 25 years of analytical experience in public finance. Chris and her family enjoy finding new adventures in their Airstream Travel Trailer. Steve is responsible for overseeing all of IDP’s financial objectives. This includes; short and long-term strategic financial planning, management of finical risk, budgeting and financial reporting. Additionally, he oversees all aspects if IDP’s affordable housing developments. Over the last 16 years, Steve has arranged and closed over $1 billion in real estate finance and overseen the disposition of over $350 million of real estate assets. Steve is a Certified Public Accountant and a graduate of Valdosta State University with a bachelor’s degree in Business Administration in Accounting. He is an active member of the Boy Scouts of America South Georgia Council where he serves as Treasurer. In his free time, you can find him on a cruise ship with his wife and two kids. Carter is responsible for leading strategic growth for IDP’s market rate development business. He has extensive experience in real estate and development including project management, financial structuring, and marketing for commercial, mixed-use, and residential properties. He also served as an adjunct professor at The University of Georgia, where he taught Intro to Property Management and Leasing Strategies in Residential Property Management. He graduated from Tulane University with a Masters of Sustainable Real Estate Development and from University of Georgia with a Bachelor of Science with a Major in Housing. Carter loves spending time with his wife and daughter and in spare time enjoys fly fishing. Mike is responsible for asset management activities for IDP and its related entities. This includes all regulatory, tax, compliance and insurance needs. Mike has over 20 years of experience in banking, commercial real estate finance, LIHTC/Affordable housing development and finance. This experience includes serving as a National Bank Examiner for the U.S. Treasury Department across the Southwestern United States. He is a graduate of Valdosta State University with a bachelor’s degree in Business Administration. Mike also serves as a board member for a non-profit that supports LIHTC and Affordable Housing communities. Mike enjoys playing golf and catching college football on Saturdays. Dustin manages all aspects for construction for IDP. He ensures we deliver a high-quality project while staying on schedule and within budget. He also has over 15 years of experience in the HVAC industry. This experience includes design, budgeting, management, installation, and service. Dustin graduated from Valdosta Technical College with a degree in Air Conditioning Technology and Valdosta State University with a bachelor's degree in Business Administration in Management. Dustin is a proud new Dad to a son, Stetson which keeps him and his wife on their toes but if he can get away he loves to play a round of golf, hunt and fish. Laurie manages the day to day operations of the IDP office. Her additional responsibilities include coordinating the assembly of applications and submissions for Low Income Housing Tax Credits, grants, and other types of soft funds. She provides support in all types of IDP’s developments from pre-development research to post development events. Additionally, Laurie oversees Resident Services for all properties in IDP’s portfolio. She has a bachelor's degree in Interdisciplinary Studies from Valdosta State University. Laurie is married with four children and spends free time practicing target and 3D archery with youngest son. Blake handles coordinating, planning and reporting all financial activities for IDP Housing and its entities. He also handles all project funding requests during construction and other financial information as required by investors and lenders. Blake’s experience includes serving as a senior accountant in a large manufacturing facility, as well as property management accounting experience with a portfolio of 26 HUD properties. Blake graduated from Valdosta State University with a Master of Business Administration degree as well as bachelor’s degrees in Finance and Accounting. He is also a Certified Public Accountant. Blake loves all things outdoors and spending time with his wife and two kids. Mara manages accounts payable transactions and is responsible for processing all invoices submitted for payment by IDP Team. She supports the controller in accounting functions and assists with other projects as requested. 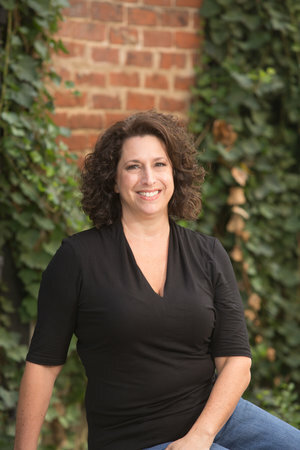 Mara has 22 years of experience in recruiting and Human Resources. She is a graduate of Valdosta State University with a bachelor’s degree in Communications. Mara loves to relax by grilling out by the pool with her family and friends or catching a yoga class. Oscar’s roles are to provide support and guidance in entitlements, financial modeling, asset management, and he also provides IT support. Prior to joining IDP, Oscar lived in Venezuela where he was the IT Chief for a multi-location private hospital and was the head of design for all financial developments. He has both an MBA and a bachelor’s in Accounting from the University of Carabobo, Venezuela. Oscar loves playing music and visiting new places, but his favorite vacation spot is Lido Key, Florida. Dennille is responsible for public relations and marketing for IDP. In this role she ensures IDP’s brand and marketing message is clearly defined as we expand into new communities as well as existing markets. 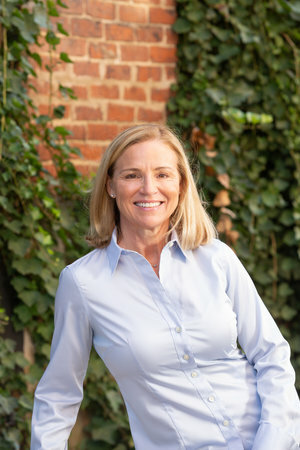 Prior to joining IDP, Dennille served as Executive Director for a Chamber of Commerce where she provided community public relations, marketing, economic development and retail recruitment. 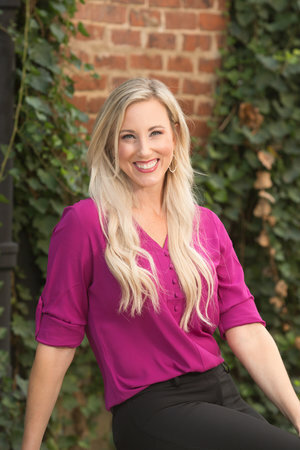 She holds a bachelor’s degree from the University of Florida in Hospitality Management and Special Event Planning. Dennille is involved in many community organizations and serves as President for her children’s elementary school’s PTO. Dennille loves CrossFit, the Florida Gators and most of all being a Mom to her two girls. Angie supports the Project Manager on all construction projects. She coordinates communication between the project manager, architects, general contractors and local permitting departments. Angie has worked in construction for the past 13 years and also has a background in educational leadership. She holds a bachelor’s degree in Psychology and History from the University of Texas Rio Grande Valley. Angie loves hiking, gardening, taking long drives and exploring new places.